Billy’s ‘Sonic Temple’ U.K. Tour Gift from I.T.B. "A bit like gold discs being created to celebrate a successful record sometimes tour promoters or venues will make up 'gifts' for the artists to commemorate the shows. 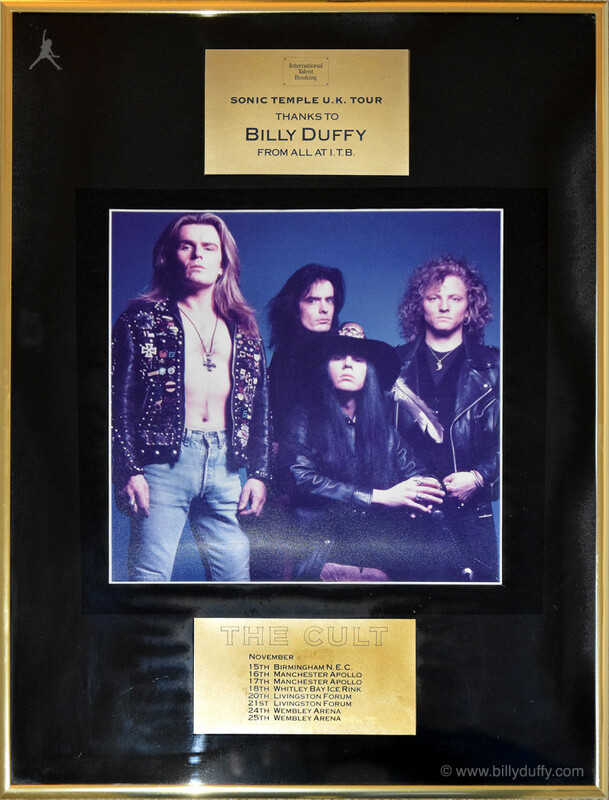 This framed picture with UK dates from the 'Sonic Temple' tour was presented to me by our agents (and promoters at that point) International Talent Booking."